Sam Harris has started an interesting discussion about the nature of morality. It's puzzling how many of his usual allies have lined up against him. Let us review. Harris is really a religion critic, not an ethicist. His foray into ethics is meant to defuse what seems to be the leading attack on atheism. Religious moralists say there are facts about morality. 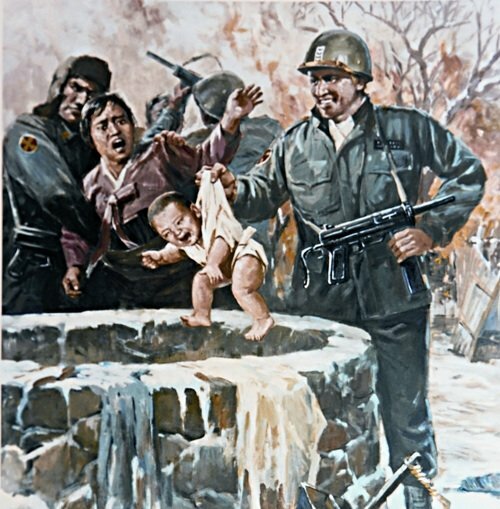 Torturing babies just for fun is wrong. Stuff like that. They then say there's no accounting for these facts being facts without supposing there's a supreme being. We've got to believe that God disapproves of torturing babies just for fun. Harris's move is to attempt to do what the religious moralists think cannot be done: account for moral facts without supposing there's a supreme being. It surprises me that Harris's co-non-religionists are taking him to task for this. In terms of addressing the religious moralist, what would they have him say? That there really aren't any facts about morality? That torturing babies for fun isn't really wrong? What a public relations disaster! Strategically speaking, Harris is entirely right to embrace moral realism, and attempt an explanation in non-religious terms. Furthermore, it shouldn't be though that he's embracing something naive or preposterous. In a recent survey of the opinions of philosophers--folks who know the arguments for and against moral realism well--the majority count themselves realists! In other words, they agree with Harris that it's a fact that torturing babies just for fun is wrong. So: Harris is taking the right position on realism vs. anti-realism, strategically speaking; and there's nothing naive or outrageous about his position. Now let's consider the arguments for a moment. One thing folks are throwing at him is the sheer fact of moral disagreement. Does that undermine the case for moral realism? Surely not. Moral disagreements involve arguments. One side may be giving terrible arguments and the other good arguments. So reason may be on one side, not on the other. In light of that, it would be silly to throw up your hands and say "no fact of the matter!" simply in virtue of there being disagreement. Another worry is that moral facts wouldn't be motivating, if they did exist. Bad guys can encounter the "fact" that it's wrong to torture babies just for fun, and start torturing babies. To which the right answer is: so what? The complete story about morality is not about the facts alone. It's also about moral psychology. It deals with how we come to know the facts, how they do or don't motivate us, the virtues and vices, etc. Beyond that, he might be saying that moral facts are discoverable using scientific methods, but I hope he's not saying that, because it's implausible. Some of the discovery of these facts is in the hands of ethicists and other reflective people. My mind is not made up about the idea that moral facts are scientific facts, but I lean toward moral realism. It's strategically the right thing for Harris to defend, not at all a naive or outrageous position, and holds up at least under the sorts of attacks I've been reading lately. "Intellectuals as diverse as H.G Wells, Albert Einstein, Carl Jung, Max Planck, Freeman Dyson, and Stephen Jay Gould have declared the war between reason and faith to be long over." And may I add after my reading last night, Martin Luther King as well. Of course none of these guys were metaethicists. If only! We could have avoided so much confusion. All of these authors (well maybe not Dyson, I haven’t read him) have argued for variants of NOMA (though of course Gould didn't coin that term until recently) and NOMA is basically just a clumsy IS/OUGHT argument (I say clumsy because it conflates religion with ethics). I think the link to Singers discussion of the is/ought divide posted in an earlier thread by another commenter is helpful, but in my view it simply supports the position I would take: the question of whether or not morality is “objective” depends 100% on criteria. This is both true of the criteria you use to establish what "morality" MEANS both in general, and then, assuming one chooses “descriptivism” what criteria one uses under that attempt to provide a definitive description (typically some variant of pleasure/pain). But I have never been brought around to understanding how these criteria are supposed to be picked out “a priori” as it were. I agree with Singer that the central question is the fact/action divide. I DO think it is “clear that the issue that really matters, that is of practical significance, is how statements of fact are connected with reasons for acting, and not how statements of fact are connected with moral judgments. But I do not think there will be any final convergence on “reasons for acting,” because I do not think that the facts produce the reasons: rather reasons USE facts, just as much as facts PRODUCE reasons. What I am saying is that the critics are failing to see that Harris stance is exactly what it needs to be, to counter the religious moralists. PLUS--it's perfectly respectable. The discussion I've read at various blogs makes it appear that people think Harris has really gone out on a limb. Hardly! The survey is relevant to showing that. If the majority of "professionals" on this subject agree with Harris, he hasn't gone out on any limb. Well it depends on who the target of this barrage is. Who is he trying to convince? I think a lot of people see him going down the path of more or less explicit scientism, and they associate that with eugenics etc. Anyway, we shall see, but I predict this will only narrow the appeal of Harris. I would think that the target audience is the religious moralist--the person who thinks there are moral facts, and that thus, there must also be a supreme being. He is also trying to convince his co-non-religionists, so they will be armed with good arguments against those people. I find it really odd that people are associating his view with all sorts of evils like eugenics or Stalin or (dare I say) Brave New World. In the ethics business, Harris's allies are not the least bit for grotesque totalitarian schemes, but for doing something about the limited lives of women in Muslim countries, alleviating extreme poverty, etc. People who think ethics is about promoting human and animal wellbeing are the GOOD GUYS! (I'm the anonymous that posted the link to Singer's article). Harris chose a very difficult way to defend atheism, if that's really all he wanted to do. "we may perhaps discern two main tendencies which stand in the way of adopting a critical dualism. The first is a general tendency towards monism, that is to say, towards the reduction of norms to facts. The second lies deeper, and it possibly forms the background of the first. It is based upon our fear of admitting to ourselves that the responsibility for our ethical decisions is entirely ours and cannot be shifted to anybody else; neither to God, nor to nature, nor to society, nor to history. All these ethical theories attempt to find somebody, or perhaps some argument, to take the burden from us. But we cannot shirk this responsibility. whatever authority we may accept, it is we who accept it. We only deceive ourselves if we do not realize this simple point". If you don't accept Harris's idea that moral facts are scientific facts, what kind of facts are moral facts? Can they be discovered empirically, can they be verified, can they be falsified? How can I know what moral affirmations (x is bad) is a fact, if they are not scientific facts. It seems that the existence of moral facts, if they are not scientific facts (and I doubt that they are) is as dubious as the existence of God. Everyone would agree that torturing babies for fun is wrong, of course, but 40 years ago very few believed that animal suffering is wrong and 50 years ago most everyone believed that homosexuality is wrong. Were our fathers so ignorant of moral facts or has the consensus of enlightened people about what is right and wrong changed in the last 40 or 50 years? Enlightened people are precisely those who can give good reasons for or justify why they believe that animal suffering is wrong or that homophobia is wrong, but those reasons are not facts but based on assumptions about how the world should be. By the way, if there are moral facts, what evidence is there that we know them? If there are moral facts, what evidence is there that we are not as ignorant about them as slave-owners? chigio, I think Harris is not so much arguing for atheism, which you could do in lots of ways, as doing battle with a specific group of people--those who think we need religion to back up morality. Like Harris, I'm not satisfied with the idea that each person is some sort of absolute authority where ethics is concerned. That's what that passage implies. Amos, If you listen to people debate a moral issue, you hear lots of argumentation. Some reasons are better than others. Over time, some ideas get thrown out, others become widely accepted. None of that process looks to me like science--people aren't going into labs or doing experiments. It's also not religion--people aren't trying to read God's mind, or what not. Over time, we start to see that slavery really is wrong. We become apprised of the fact about that. It's a normative fact. It's not built into the basic idea of moral realism that normative facts are equivalent to or derivable from any empirical facts. Maybe they are, but maybe not. Thanks Jean. Could I ask you a favor? Could you explain in terms that a curious, but ignorant 16 year-old (or 64 year-old) can understand what is a normative fact and how one verifies or discovers what are normative facts? If by normative fact, you mean a normative proposition that all reasonable people at any given moment agree upon, then I agree that there are normative facts, but I suspect that you mean something more than that. @Jean: I think that Popper's line of reasoning shows that religious people are not better off. We say that a moral authority is good if the actions it prescribes are good. Not the other way around. And that leaves the question "what actions are good" still open. I think it's a very clear, and very old, logical problem, which cannot be solved by a simple appeal to authority. To me, that seems the most convincing (and simplest) defense against religious based morality. And I don't think that Popper says that we are our own ultimate moral authority. There might be some "external" moral authority, but each of us must take the responsibility of accepting it. Amos--Nuthin tricky here. It's a fact that torturing babies just for fun is wrong. It's a fact that slavery is wrong. Moral realists think that people come to realize these facts as a result of experience, debate, reflection, etc. They are not invented or created through agreement, they are discovered. The next question is: what kind of facts are moral facts? Now moral realists can disagree and say all sorts of profound and puzzling things. Maybe it's an irreducible fact that torturing babies just for fun is wrong--there's no saying more about what makes it a fact. Maybe it's a natural fact, like the fact that torturing babies just for fun doesn't maximize total happiness. Maybe it's some other natural fact (there are lots of possibilities), like the fact that human beings don't flourish when they're torturing babies just for fun. chigio--I get the appeal of that view (it's very much like Sartre's in his famous article "Existentialism is a Humanism"), just can't sign on the dotted line because it strikes me there are no two ways about it--torturing babies just for fun really is wrong. Any individual or group that chooses to think differently is ignorant, not just making a different choice. Presumably one of the moral difficulties we will face is: what do we DO with all these ignorant people? Given that there will be some subset of the population that will “not be up to the task” of “converging” their beliefs on the moral facts of the matter. But of course there will be a fact of the matter as to what the appropriate procedure for dealing with all the ignorance is. Those really not up to the task of converging on the correct beliefs may simply have to be bombed or imprisoned. In less intractable circumstances they may need less brute forms of adjustment, requiring only extensive education so that they may become “adequate to the task.” In the most extreme visions of the future, perhaps they may require chemical or physiological adjustment. There may be tough choices ahead. But at least the moral realists can seek comfort in the fact that hold the truth in their hands, that all their decisive “experience, debate, and reflection” have given them what heretofore only high priesthoods have had access to: namely, the moral truth. But they will have made an advance those priesthoods: they will know that they are not taking all this at God’s word: it won’t be a matter of faith. Instead they will know they have discovered the moral facts, and this will give them comfort when they go about the business of “unseating” regnant ignorance throughout the world. I do not believe any such comfort is available. I think we make the decisions we make with the best resources we have. I think those resources are deeply contingent. I think we should maintain our awareness of that contingency. I do not think any “realism” is necessary to “unseat” tribalism. What is required will be the same in every case: one presents one’s best reasons. They are accepted or rejected. In some cases violence will ensue. And when it does, everyone will have to take responsibility for that violence and not eject it: pointing to some non-human authority. “God” made me do it. “The moral facts require it.” These are unacceptable formulations. Ones does it because it is what ones believes. Nothing more, and certainly nothing LESS. You make it all sound so awful, but what we're really talking about is stuff like FGM. 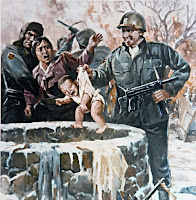 Or Mingi killings--the practice of killing babies whose top teeth come in before their bottom teeth. Or the lovely practice of chopping bits off of albinos because they're considered good luck charms. What we should do is not imprison and bomb the ignorant, but convince them. Or rather, support people in that community who want to convince them, because that works much better. If it is just my belief that the above practices are wrong, then how can I be entitled to get involved at all? Why try to get my beliefs to prevail, when the lives of other people are at stake? It would be ridiculous, like trying to get my food likes and dislikes to prevail in a place where people have other preferences. It's irrational to try to prevail, unless you're right! It's not irrational to try to prevail unless you're right. I can believe and do believe that my values are superior to those the Talebans and those of the Pentagon, without believing that my values are facts, just as I believe that Bach is superior in musical terms to Britanny Spears, without believing that Bach's musical value is a fact. Amos, That makes no sense to me. If you think Bach is just your preference, then I really don't see why you would go around pushing Bach or trying to get people to share your preferences. Likewise, if rights for women, children, animals, etc., were just my personal preference, I'd have no good reason to change what other people do (and also no reason not to). variation of the position that ethics are choice, not facts, and yet Sartre and Simone de Beauvoir dedicated much of their life to social activism, including womens' rights. I don't think my wording is trivializing anything. Change it to the "project" of a billion people, and you still have a question what makes it appropriate for them to impose their project on people with other projects. You wind up with a non-rational clash of projects, with (I suppose) might making right. I think that's a very implausible way to look at conflicts, like the one between anti-slavery and pro-slavery forces in the 19th century. It wasn't just one project meeting another, but a just project meeting an unjust project. I never said that might makes right. However, yes, abolishing slavery or fighting Nazism is one project meeting another, us against them. There seems to be a sense that if there are no moral facts then *all* moral values humans have would be on a whim and unresponsive to rational argument. I'm not sure this is so. Humans (tend to) have a shared set of values, and will act on these values according to what they think are non-moral facts about the world. A feminist and a misogynist could think that persons deserve fair treatment and respect, yet the misogynist believe that women are subpersons. Our goal would then be to convince him that women are actually every bit as capable as men, which is an empirical matter. The issue could be (ideally) resolved by rational discussion without reference to any effervescent, non-causal moral facts. As far as I can see, most moral disagreements work this way. Obviously, there are people whose morals are so far from our own that we can't construct any values from shared foundations. This is a problem without an easy solution, but not a reason in itself to accept realism. Leaving aside for the moment that people regularly promote their aesthetic tastes (“you really should develop a taste for this food, it’s so delicious!” “You don’t like Shakespeare? What’s wrong with you, you cretin!” etc) the central concern is simply: if my grounds for recommending behavior are purely internal, if they are not subject independent, how can I justify my attempts to get other people to conform them? If I am using self-referential principles, and they are doing the same, then how could we ever weigh these values against each other? In other words when any principle can be a moral principle there will be no way to establish independent grounds for determining what principle to follow. Unfortunately it remains entirely unclear how to overcome the problem of “once the definition of morality is accepted.” It will always be possible to simply reject any given definition of morality so I fail to see how the descriptivist (realist) can ever do anything more than recommend a definition of morality. There seems to me no way of getting at an “objective” definition of morality. Complaining that without such a moral archimedean point we will not have an independent fulcrum on which to balance our scales of good and evil strikes me as no more an argument for the objectivity of morality than Kant’s “moral proof of God” is a valid proof of God’s existence. How's Dallas? Hope you're enjoying the summer. "What I am saying is that the critics are failing to see that Harris stance is exactly what it needs to be, to counter the religious moralists. PLUS--it's perfectly respectable." I have to admit that I'm one of the atheists who is really, really bothered by what Harris is trying to do. I'm a moral realist, so my beef isn't with his moral realism or his atheism. My beef is with the way that he plays into the hands of those who think that the atheist has to do something to vindicate moral talk given the atheist's metaphysical commitments. That, I think, is just rubbish. One of the lessons of the Euthyphro, I think, is that the religious can't derive morality from something non-normative. So, what I wish Harris would do is patiently explain that this demand that someone derive morality from something less problematic is absurd. It's absurd for atheists to demand this from theists and vice versa. Hi Clayton, Dallas is as lovely as ever. Ahem. I trust San Antonio is as lovelier as ever. Yeah, I think all this stuff about "deriving" he keeps talking about is not necessarily necessary. (How's that for non-committal?) There may just be normative facts, and there you are--no need to pry them out of anything non-normative. He's too quick to think we need to substitute something else for religion as the "source" of morality. I did some posts a while back saying that, but then I started noticing how many of Harris's atheist brethren were beating him up just for being a moral realist, which made me realize in some deep sense I'm on his side. Faust, I'm feeling guiltier and guiltier for not having read that Singer article yet. I hope some people might find it interesting. Yes! I totally agree - this isn't philosophical research, it's contribution to a public debate that generally remains at a fairly low level of sophistication and it's exactly the right thing to say in that debate.